HMH Books for Young Readers, 9780152052607, 96pp. 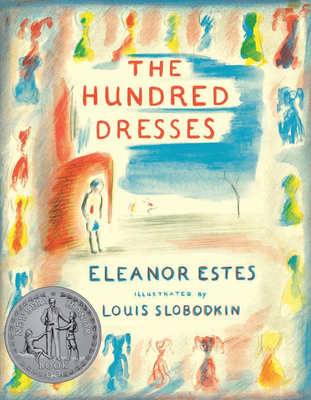 Eleanor Estes’s The Hundred Dresses won a Newbery Honor in 1945 and has never been out of print since. At the heart of the story is Wanda Petronski, a Polish girl in a Connecticut school who is ridiculed by her classmates for wearing the same faded blue dress every day. Wanda claims she has one hundred dresses at home, but everyone knows she doesn’t and bullies her mercilessly. The class feels terrible when Wanda is pulled out of the school, but by that time it’s too late for apologies. Maddie, one of Wanda’s classmates, ultimately decides that she is "never going to stand by and say nothing again." This powerful, timeless story has been reissued with a new letter from the author’s daughter Helena Estes, and with the Caldecott artist Louis Slobodkin’s original artwork in beautifully restored color. Eleanor Estes (1906-1988) grew up in West Haven, Connecticut, which she renamed Cranbury for her classic stories about the Moffat and Pye families. A children’s librarian for many years, she launched her writing career with the publication of The Moffats in 1941. Two of her outstanding books about the Moffats—Rufus M. and The Middle Moffat—were awarded Newbery Honors, as was her short novel The Hundred Dresses. She won the Newbery Medal for Ginger Pye.